What a cool seminar to take! 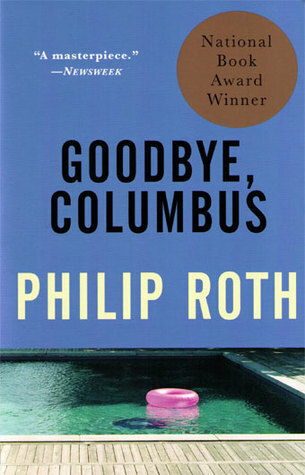 I was assigned Goodbye, Columbus in an American Literature course a few semesters ago, and particularly as someone with Jewish American background myself, it was a very interesting read to reflect on. I have the same book with the collection of short stories on my shelf from that class, but have yet to read anything beyond Goodbye, Columbus even though I’ve meant to. I’m really looking forward to reading more of your posts on his work! Great post! I haven’t read any Roth before…. (ashamed to say) – looking forward to the rest of your posts as the seminar continues! I love a college class that delves into one writer! I hope you have an amazing time with it. I haven’t ever picked up any of Roth’s work. He sounds like an interesting writer. I get where you’re coming from about the sexism. I’m glad that he made a point of acknowledging it, but that doesn’t necessarily make it hurt less. When I was younger and trying to make myself read Jack Kerouac because I thought that was the cool thing to do I found his casual women hating very hurtful – most especially because he was held up to be such a genius, but all I could see was racist, sexist crap. I don’t think he’s cool any more. Thank you! It’s nice to know I’m not the only one having to deal with this—it can be so frustrating! The Conversion of the Jews sounds intriguing. I have never read a book of his but would love to give it a try. Great review. Thank you! They’re all definitely interesting reads! Wow… a dozen books of one author for one semester? It sounds like it would be really fun and interesting to get to know one person’s writing so thoroughly, but I wonder if you’ll be burned out by his books by the end of the semester. Is it possible for an English Lit major to get burned out by analyzing books? And how would you recover from that if you’re required to continue reading, but don’t feel like it? 🤔 Ever since your post on why you decided to major in English, I’ve been wondering a lot about what that experience would be like for me in the future. I definitely think it’s possible for English majors to get burnt out from reading even when they love it (that would actually make a great topic for a blog post….). I kind of felt that way while I was at Oxford, and it’s one of the many reasons why I ultimately decided not to pursue a career in lit. I love it as a hobby, and I would hate to to lose my passion for it!